In honor of this year's Author Series title, we've designed an escape room to help students get to know more about Dr. Damon Tweedy's memoir, Black Man in a White Coat. The event will take place in C-100 in the Kent Campus Library and Learning Commons, located at 3939 Roosevelt Blvd., Jacksonville, Florida 32205. 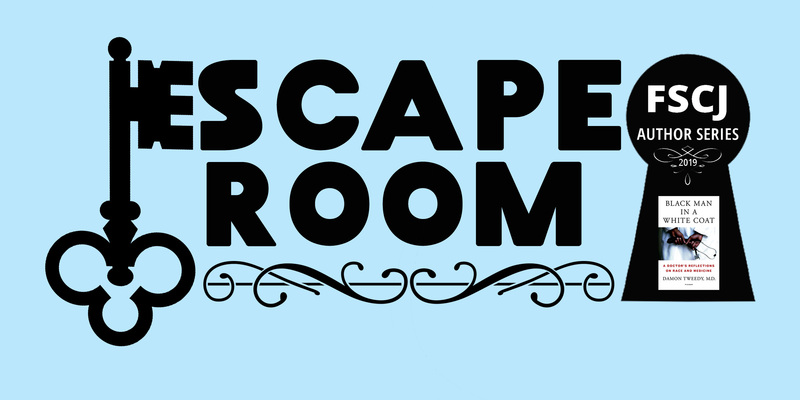 The Escape Room will be closed from 1-2 PM while the Book Club is meeting.